Need another owner to talk to? Tired of banging your head against the wall with no one to talk to? Wish you had a place to share ideas and ask for help? Our members-only site for Salon Spa Owners provides exactly that... You can connect, get ideas, blow off steam and find a community to learn from so you don't make the same mistakes that salon, day spa and medspa owners have been struggling with forever. ALSO, there are articles on startup, marketing, compensation, business, mindset, services, equipment, products, profit maximizers and even spa blunders... PLUS: Thousands $Worth$ of articles, audios and videos from the nation's top consultants. 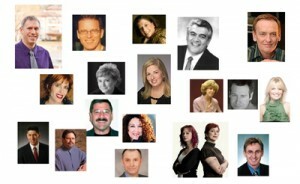 Articles include: Douglas Preston, Preston Wynne founding partner (skincare & retail guru) Skip Williams of Resources & Development (compensation guru) Lauren Gartland of Inspiring Minds (motivation queen) Felicia Brown (massage expert) Andrew Finkelstein (salon fixer) Monte Zwang (bookkeeping & finance) Ellen McGinnis (resort consultant) Patti Biro (event expert) Sam Marguiles (design savant) Ken Cassidy (staff expert) Maryellen Ferring (front desk go-to) Nancy Trent (PR guru) Hannelore Leavey (day spa & medspa association founder) Seth Gardenschwartz (SpaBoom & SpaFinder educator) ...and we're adding on Coaches monthly, with people like: Scott & Eva Kerschbaumer (spa101 & esspa) Jon Gonzales (salon legend) Lisa & Lori Nestore (the Wax Queen and daughter) ...plus myself, Christopher Brazy "Who Loves Ya?" -Christohper P.S. Make sure to get on the email list to watch for openings (they're usually sold-out).